July 20, 2016 – Mister Journalism: "Reading, Sharing, Discussing, Learning"
Over the past six decades, there has been a widespread closure of state mental hospitals and other facilities that serve people with disabilities—a shift often referred to as deinstitutionalization. Between 1955 and 1994 the number of Americans residing in such institutions dropped sharply, from nearly 560,000 to about 70,000. Deinstitutionalization is widely regarded as a positive and necessary development, but it wasn’t accompanied by the public investment needed to ensure the availability of community-based alternatives. As a result, the United States has traded one form of mass institutionalization for another, with jails and prisons now serving as social service providers of last resort. According to the Bureau of Justice Statistics, state and federal prison inmates are nearly three times as likely—and jail inmates are more than four times as likely—to report having a disability as the nonincarcerated population. One in five prison inmates have a serious mental illness. In fact, there are now three times as many people with mental health conditions in federal and state prisons and jails as there are in state mental hospitals. Just when we thought Gov. Rick Snyder couldn’t sink any lower in his performance as Michigan’s governor, he’s surprised us again. 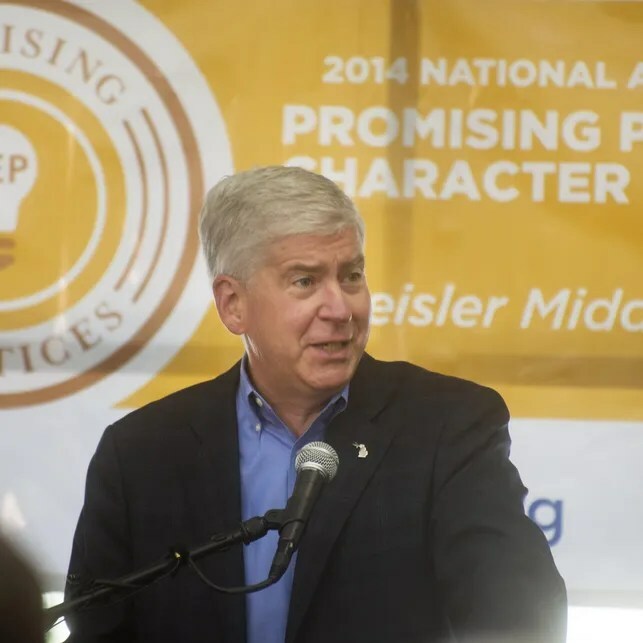 Snyder has announced that he will appeal a recent decision ordering the state to return money illegally withheld from the paychecks of over 200,000 Michigan public school employees. The case, brought by MEA and AFT Michigan, sought the return of more than $550 million taken from school employee paychecks between 2010-2012. The money was supposed to help fund health care in retirement — even though there was no guarantee that employees would receive that benefit. This suit against the state started five years ago. The state initially lost in trial court. It appealed to the Court of Appeals. The state lost again. Both of those courts agreed that withholding 3 percent of school employee wages violated state and federal constitutional protections of preserving private property and due process. The state then asked the Michigan Supreme Court to hear the case. Instead, after a two year wait, the Supreme Court sent the case back to the Court of Appeals, which issued the most recent decision in favor of school employees in early June. This latest appeal is especially appalling given the state lost a similar case brought by state employee unions on behalf of their members. Those workers were refunded their illegally held wages — four years ago — while school employees are still waiting for their hard-earned money. While the governor hasn’t been kind to state employees, he seems to have particular animus for school employees. After five years of litigation and defeats in three separate court decisions, the governor’s appeal of this case is not only misguided, but mean-spirited.